Don’t like writing website content? This entry was posted in Uncategorized on July 28, 2015 by David Northmore. Better at talking than writing? Don’t like writing content? This might help. In my office I am known for always looking for the shortest way to get to a destination or finding a destination that’s the closest to the office. It’s not that I am ‘lazy’ it’s more that I am ‘energy efficient’. Seriously though, it’s in my DNA to find shortcuts and its the same when it comes to work. When I am confronted with a task that looks big and time consuming, then that’s when I start looking for options to reduce its size to be more manageable. Writing content is one of those tasks that stumps myself and my clients. I am always recommending that they write content as “Google food” especially for the long tail terms and to demonstrate their knowledge as a subject matter expert. You don’t always have the option of outsourcing content writing, especially when you are an expert in your field. So it’s back on you to write the content. Recently, I had the idea of listening to the one of our more recent Reckon webinars and to take the best bits and reuse them for website content. So I was planning on listening and transcribing it. Getting it transcribed is good, as not everyone has the time to watch an hour long video. Not only that, sometimes one can explain things verbally in a far better way, than anything we would write on our website. 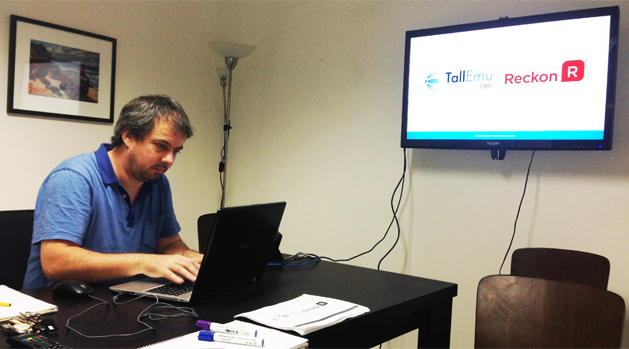 So transcribing this webinar might get us some great content for our to describe our product offering. So, having got the idea, I was not keen on sitting there and writing it all up. That’s when I did a quick search for a service that could do it for me…and I found one. Two days later I got 13 pages of Google food in a word doc and started to think of ways to use it. We asked for the transcription to be time stamped, as we wanted to give the readers the ability to jump to the section of the transcription (or the video) that they were interested in. So, because of my laziness energy saving ways we ended up with a lot of SEO rich content, two different ways of consuming that content being Audio or the written word and a neat usability trick of being able to skip to the parts that interest you. Now we have found this method creating content at least in its raw form is quick. Obviously, it may need work to reuse elsewhere but then if you gave it to a copy writer they would have something to work with. If you want to know the vendor we have used for the transcription or how we hyper linked into the video at a particular point then please email me directly. In the meantime go here to see the transcription and video of the webinar. This entry was posted in Uncategorized on April 28, 2015 by David Northmore. Mike Nash our CEO, has just completed a Webinar for Reckon Accounting’s accredited partners (AP’s). I maybe biased, but he did very well. If you want to join a similar session this Thursday at 3.30 pm, then follow the link below to register. This entry was posted in Google & CRM on June 10, 2014 by David Northmore. The following tips are written assuming that you already believe in using the internet for selling online and acquiring qualified and engaged leads. It also assumes that you have a website (or want one).I am hoping that you’ve accepted that Search Engine Marketing (SEM) or SEO is the best sales and marketing channel available to you, that it’s mandatory and that if you didn’t do it, you would be consigning your business to an early grave. If you were not nodding to that last paragraph then I offer you an hour of my time for free via a Goto Meeting to persuade you otherwise.I’ve decided to add a bonus tip which is more important than any of the others so if you’re really short of time go straight there. You wouldn’t have an employee without some goals for them to achieve and a timeframe in which to achieve them…treat your website and your online advertising like an employee. 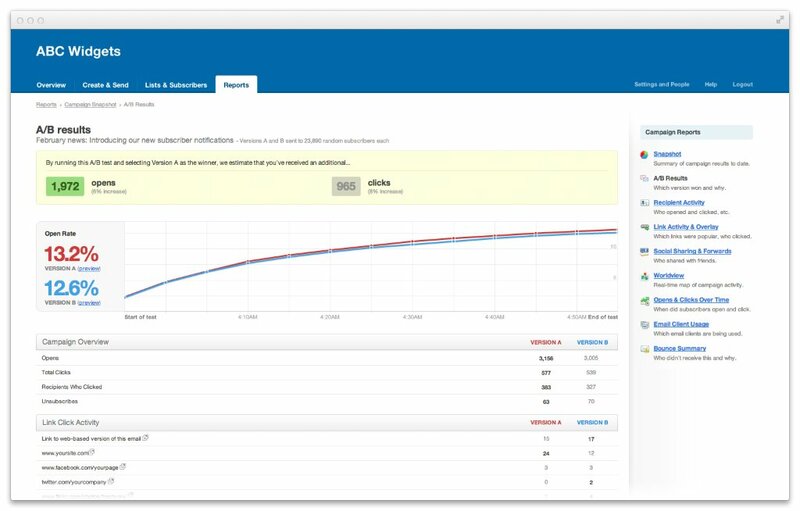 Set KPI’s and review regularly. If you set a goal for 1000 more visitors through SEO (free organic visitor) per month for your website but you’ve ignored your SEO consultant’s advice of writing more content, then you have misunderstood what influences this particular KPI. This element might take time to feel like you understand the connection, but having the KPIs in the first place means you can ask the question of your consultant. What are the road blocks that might be preventing us hitting our targets? Tip Three – Set the right KPIs for your business/website. I often see other consultants talking to their clients about metrics that are next to meaningless to the businesses objectives. If they only report on Visits, Impressions, Click through rate (CTR), Cost per click (CPC), Time on site, Bounce rate and nothing else, then you should find someone else. You need to be looking at outcomes from your online efforts. The really meaningful statistics are no. of enquires & leads, Newsletter signups, Brochure downloads or Online sales. 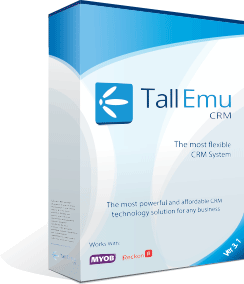 If you have Tall Emu CRM then even your offline sales, which were as a consequence of your online marketing efforts, can be capture and measured. In other words you need to know what revenue can be attributed to online marketing and are you doing it at a sustainable rate i.e. getting a positive return on Investment (ROI)? Tip Four – Research your market online. 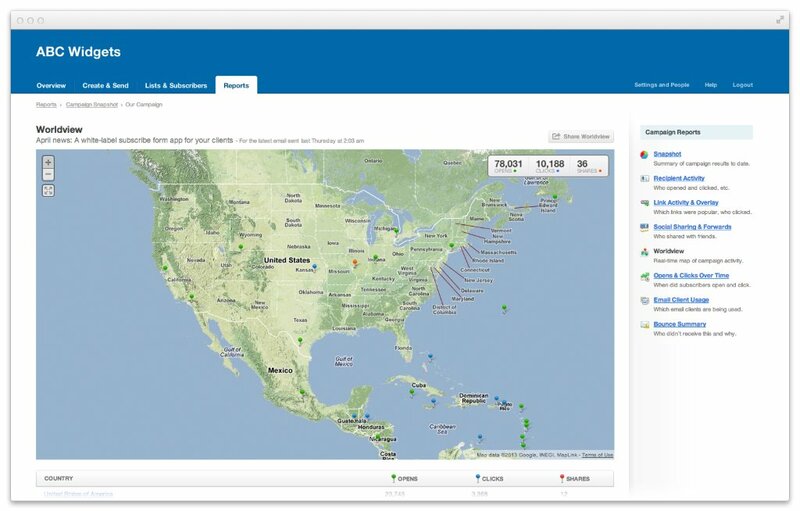 How many searches there are for your product in the geographical areas you supply? Is there demand for a new product line before you invest in it? How successful are your competitors? How strongly recognised is your brand over others (if at all)? How do your customers talk about your products, service or industry? Sometimes I find that the terms used by my clients don’t accord with their customers. 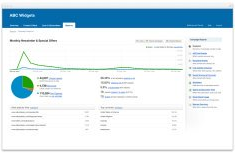 Tip Five – Set up Goals in Google Analytics. 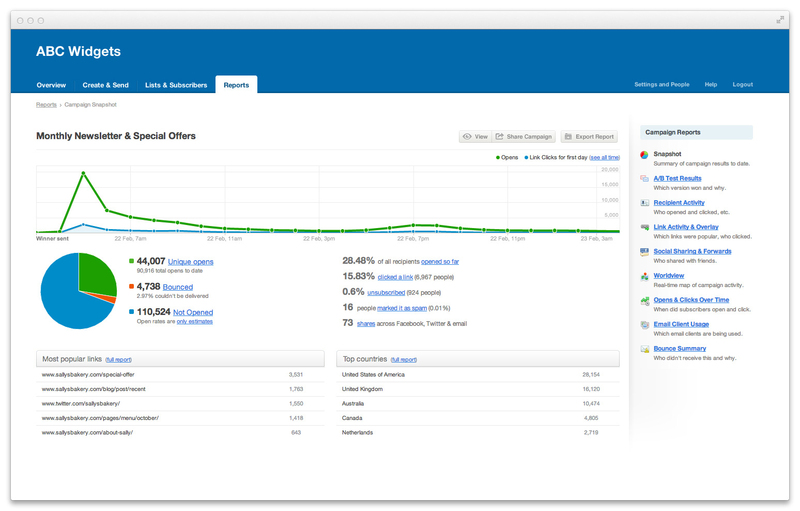 Google Analytics is your friend but it does have a lot of data in it. While it is interesting on its own doesn’t always lead you to any decisions. In fact you may draw the wrong conclusions. One of the ways to add meaning to this data is to configure Google Analytics to record events and goals that do have meaning to you. Tip Six – Involve your SEO consultant before you design or build your website. If you have a great consultant that you trust, it’s essential to get them involved early in your discussions regarding any new website. It will save time and money if you do and if they are any good then you will actually make more money by doing so. A good SEO consultant will want to influence the platform the website is built on, the structure of the menu’s and what we call the “Information Architecture”. 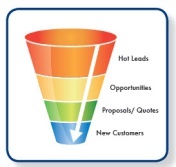 The conversion techniques or sales funnel of the website, the content that’s written for it. Tip Seven – Who are you selling to? In the trade we call them Persona’s and defining them helps you write compelling content that matches their needs. List down who would buy from you, who is involved in the sale, who influences the sale. This will influence how you present information, the language you use, the medium that you use (picture, video or text or perhaps a combination of all three). People often forget that visitors can enter a website from any page of your website (published and indexed). This maybe their first time to your website, so you need to be as concerned about these pages not just the home page. People’s attention span online is minimal. If your website is slow to load, navigate or work out what you actually sell, then they will not hang around. You are but a click away from oblivion. If you spent $100 for a $500 dollar sale, on which you made a 25% margin being $125, then you minus the $100 you spent, you’d have only made $25. On the face of it, that doesn’t look all that impressive. However, if by the end of the year that new customer spent another $1,000 (perhaps over multiple purchases) then the LTV for this client is $1,025. Now that’s a bit more impressive. There are lots of models for working out the LTV of an individual customer or customer base. The point is however, the initial acquisition cost is less important when you know the average LTV of your customers. Like the Woody Allen quotes above, to be a success online you have to turn up…but you also have to stay there. Your success online will only come if you are committed, keep engaged, keep working on it, with continuous analysis and tweaking. I work in this field full time, its forever changing and so are your competitors. It’s okay to make mistakes, but online marketing is transparent so poor performance is visible but so are the solutions. David brings over 12 years’ of experience in website useability, e-commerce and online marketing, including search engine marketing and search engine optimisation. 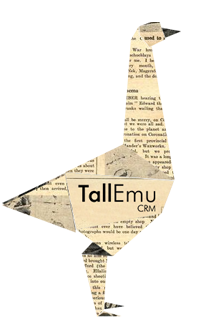 David is now combining his e-commerce expertise with the Tall Emu CRM capabilities to build a powerful lead management system and sales attribution reporting. The idea being that more leads are converted and the understanding on what channel is actually bringing in the business is then known; even if the sale was completed offline. With a keen focus on ROI, David gives his clients the support, guidance and training they need to win online.